It’s no secret that mainstream fashion and the retail industry have changed drastically over the past decade. The widespread introduction of fast-fashion retailers such as Zara and H&M have taught a generation of shoppers that they can score the runway-like looks they want for a fraction of the price, which studies show is a great feeling. Consumers have become adverse to paying full price for fashionable clothing, and it’s throwing the entire industry for a loop. 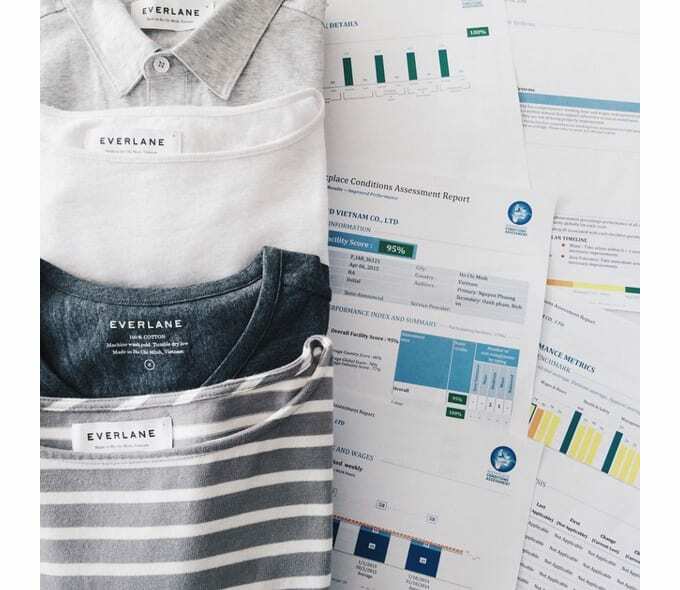 New brands like Everlane employ a cost transparency model, which shows customers exactly how much traditional retailers are ripping them off. For example, Everlane charges $70 for a bomber jacket, and claims traditional retailers would sell a similar jacket at an inflated price of $185. The company even goes as far as including itemized lists of production costs for each item on their website. "We&apos;re not going to be the cheapest price, but we won&apos;t be the most expensive either. The clothing will be Barney&apos;s quality at one-third the price," Everlane&apos;s CEO Michael Preysman said to Business Insider in 2012. Even major retailers know they need to cut prices to compete with the new boom of fast-fashion and cost-transparent companies. Earlier this year WSJ reported that Macy&apos;s is set to open four discount “Macy’s Backstage” stores by the end of 2015. The department store will join the likes of Nordstrom, Saks Fifth Avenue and Barney&apos;s—all have discount versions of their hallmark stores. While it’s nearly impossible for traditional retailers to avoid the promotional and outlet cycle needed to compete with the new generation of retail, by participating the stores run the risk of devaluing their iconic brands. As today’s consumers continue to expect more for less in the ever-changing retail landscape, it’s certain the brands that can’t adapt are the ones who will fail.